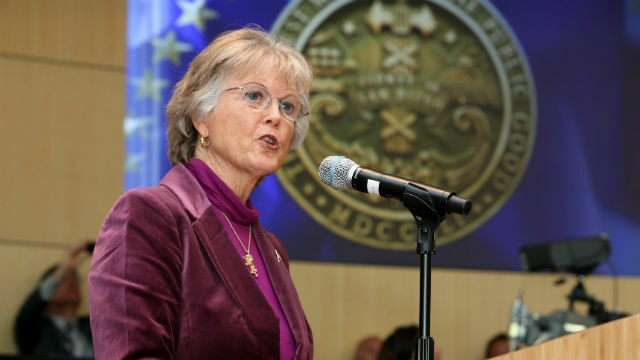 County Supervisor Dianne Jacob’s re-election campaign announced Monday that she has won the endorsement of San Diego Mayor Kevin Faulconer for a historic seventh term. Jacob represents District 2, which stretches from the eastern edge of San Diego to Julian and the Imperial County border. She faces a re-election challenge in 2016 from fellow Republican Joel Anderson, who is completing his second and last term as state senator representing much of the same area. Sheriff Bill Gore and District Attorney Bonnie Dumanis have also endorsed Jacob.